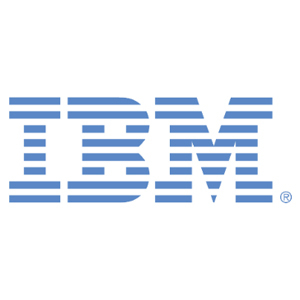 Learn more about CSCMP corporate member IBM. Discover what makes them a vital part of the CSCMP supply chain community and discover what has allowed IBM to succeed for over 100 years! Today’s increasingly complex global economy is driving demand for ever more agile, accurate and traceable supply chain systems to support fast delivery, easy ordering, supply-chain visibility, complete transparency and more. 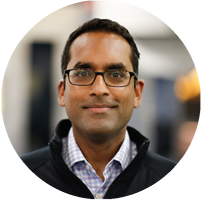 In this Hot Topic, learn how interoperable standards enable scalability for small to medium sized brands, help to authenticate products, and provide a foundation for traceability – including potential blockchain solutions. 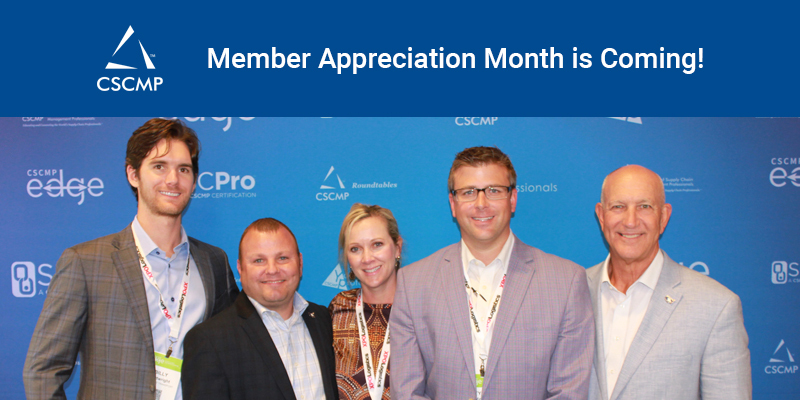 CSCMP has partnered with American Supply Chain to offer CSCMP members special benefits and rates. Join us to network with supply chain, logistics, and transportation executives, and discover the latest trends. Gail Rutkowski, from NASSTRAC, will host a Lunch & Learn Roundtable entitled, a “Continuous Improvement of Shipper/Carrier Relationships” and be moderating a "Fireside Chat". The Distinguished Service Award, CSCMP’s highest honor, is presented to an academic, consultant or practitioner who exemplifies significant, consistent and career-long contributions to the development of the logistics and supply chain management disciplines. Nominations will be accepted through April 30, 2019. The winner will be recognized on stage during Monday morning's opening general session at the EDGE 2019 Conference. The Emerging Leader Award recognizes up-and-coming leaders in the supply chain management field for their meaningful contributions to the profession. Help us acknowledge deserving candidates by nominating an outstanding young professional you know. Nominations will be accepted through April 30, 2019. The winner will be recognized on stage during Monday morning's opening general session at the EDGE 2019 Conference. We are at the beginning of a supply chain technological revolution. Everything—from pallets and trucks to a bag of Romaine lettuce—has the potential to collect, store, and transmit information. If only companies could take this data and feed it into analytics and artificial intelligence systems, they could make better, faster decisions than ever before, driving down waste and increasing value. That, at least, is the vision of what big data analytics could achieve. 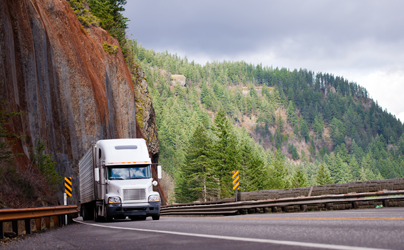 Powered by Truckstop.com and FTR, the Trans4Cast weekly report offers analysis of spot market conditions and rates in the transportation industry. 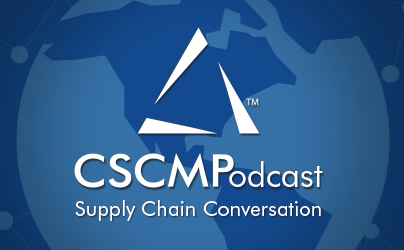 CSCMPs new podcast, Supply Chain Conversation, is our newest platform for bringing you the latest insights from the industry’s top professionals. 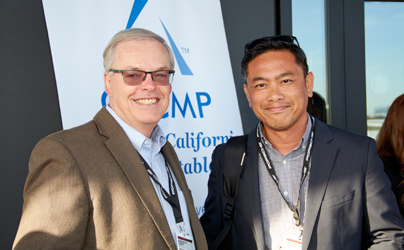 Be found by CSCMP members around the world. Members can be found by, or search for, members based on job title, industry, geography, and more. Authored by A.T. Kearney and supported by Penske Logistics, this report is widely used by professionals as the premier benchmark for US logistics activity.